A street photographer friend, Valerie Jardin, sent me a text the other day with a photo of a Polaroid T-shirt she saw in her local Target. I guess she knew I liked to play with instant cameras, so she sent me the photo. I was in my office at the time, but I about bolted out of my chair to run to my local Target to get one. Steve, calm yourself, you're a professional finance executive so such trivial issues don't bother you!!! Uh, sure, right...hey is it 5pm yet?? 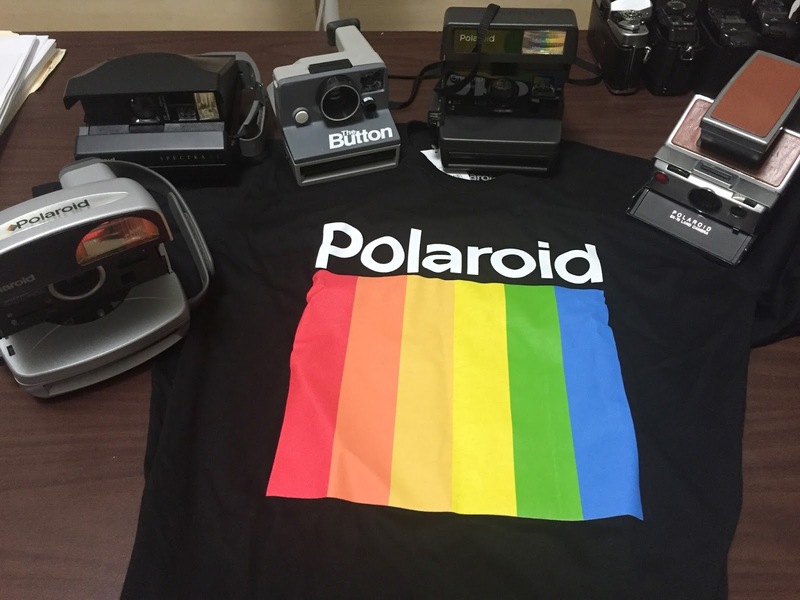 Anyway, you know the story and so now I'm the proud owner of a Polaroid themed t-shirt. I've already worn it during a street shoot the other day. It's super cool.